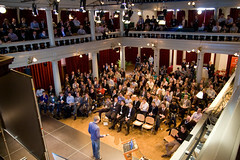 Catch the vibe of the last and legendary Mobile Monday Amsterdam in 2009. 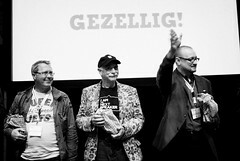 With great talks by Dennis Crowley and Manon Ossevoort this was definitely one of the most memorable event that year! 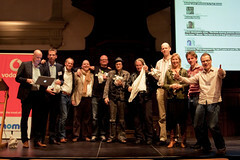 Mobile Monday Amsterdam #12 was all about emerging markets and developing countries. Once again a huge turnout and great vibe! As always we’ve compiled an impression video so you can relive the event. 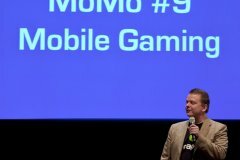 This 5 minute video gives a good impression of the MoMo Special on News on mobile. 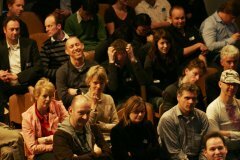 Hear how the speakers and the audience experienced the Special. Make sure you mark your calendars so you will not miss MoMo #8 – see you on November 3rd 2008! Video is in Dutch/English. Recorded in Amsterdam on September 29th, 2008.
Who visits MoMo Amsterdam and what do they do? A short 5 minute video with 24 introductions in Dutch. Who will you meet the coming MoMo? Wie bezoekt MoMo en wat doen ze? from Mobile Monday on Vimeo. 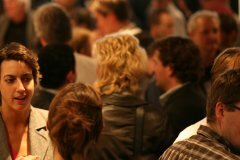 Posted in #4 News, News | Comments Off on Who visits MoMo Amsterdam and what do they do?